Jane and Sehwan met 4 years ago through mutual friends and now they are planning their dream wedding for this May! He proposed on their anniversary after bringing Jane to some of their favorite Atlanta places and then pulling out a ring he had sewn on a stuffed penguin (penguins are Jane's favorite animal). 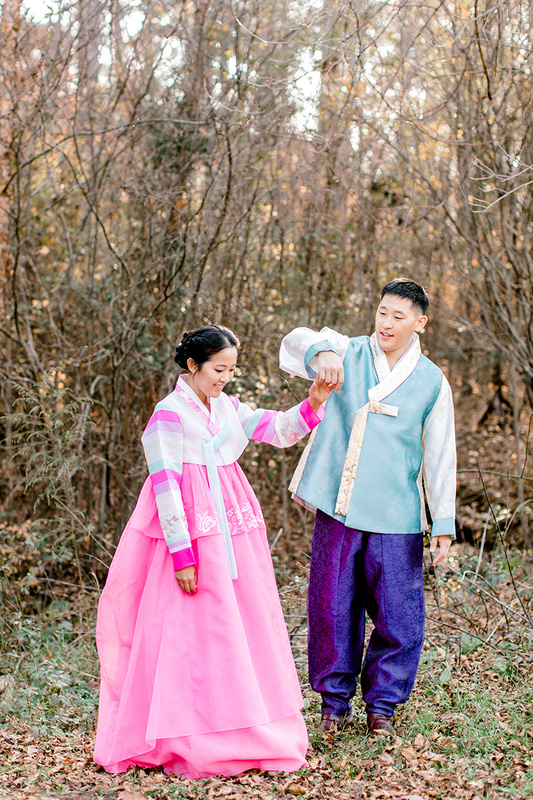 They are the sweetest, most thoughtful couple and I can't wait for their wedding this Spring! 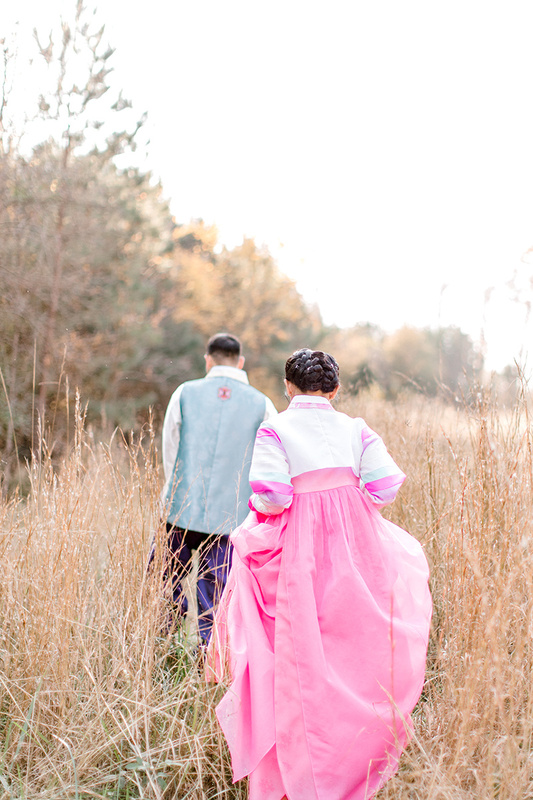 Here are just a few favorites from their engagement session this fall wearing their hanbok and being just generally adorable.